St. Martin's Press, 9780312358341, 368pp. A New York Times Notable Book for 2011 A Washington Post Notable Fiction Book for 2011A USA Today 10 Books We Loved Reading in 2011 TitleOne of NPR’s 10 Best Novels of 2011 What if—whoosh, right now, with no explanation—a number of us simply vanished? Would some of us collapse? Would others of us go on, one foot in front of the other, as we did before the world turned upside down? That’s what the bewildered citizens of Mapleton, who lost many of their neighbors, friends and lovers in the event known as the Sudden Departure, have to figure out. Because nothing has been the same since it happened—not marriages, not friendships, not even the relationships between parents and children. 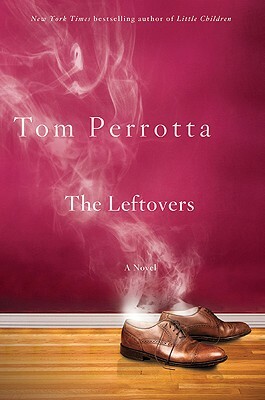 With heart, intelligence and a rare ability to illuminate the struggles inherent in ordinary lives, Tom Perrotta has written a startling, thought-provoking novel about love, connection and loss. TOM PERROTTA is the author of six works of fiction, including "The""Wishbones" and "Joe College." His novels "Election" and "Little Children" were made into acclaimed and award-winning movies. He lives outside of Boston, Massachusetts.